One of the default modules for SugarCRM CE is the Support Cases module. It will allow you to easily track and manage support cases either submitted by customers or created by your employees. In the next few lines of this tutorial we will show you how to fully manage the Support Cases in your SugarCRM CE instance. In order to be able to perform overall managing activities on the Support Cases in your SugarCRM CE instance you will need to access the home page for the module. The page can be accessed from the Support > Cases menu. 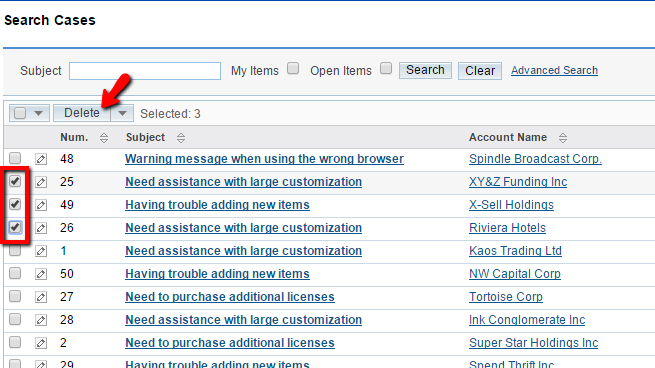 On the home page of the Support Cases you will notice a list of all the currently existing cases. If you would like to import any you are also provided with that option in the Actions menu. 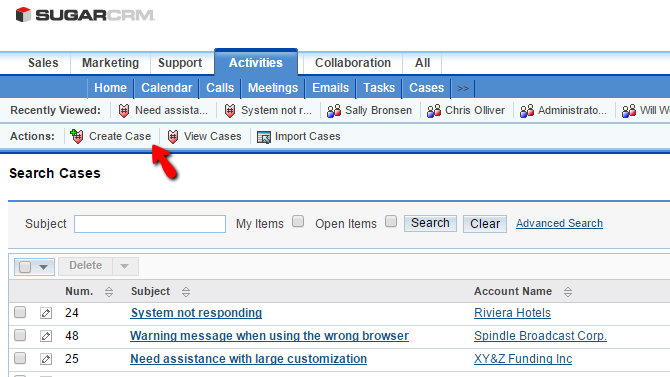 In order to add a new Support Case you will neec to click on the "Create Case" link provided in the "Actions" menu group. You will be redirected to a new page where there are few options you will need to configure in order for the new support case to be created. Priority - The priority of the Case. Status - The Current status of the case. Type - The type of the case. Or to what it is related the most. Subject - The subject of the case. This should be something short as it will be the first thing to notice when reviewing cases. Description - The description of the issue/request. Resolution - If you would like to just provide information or request certain resolution to be applied. 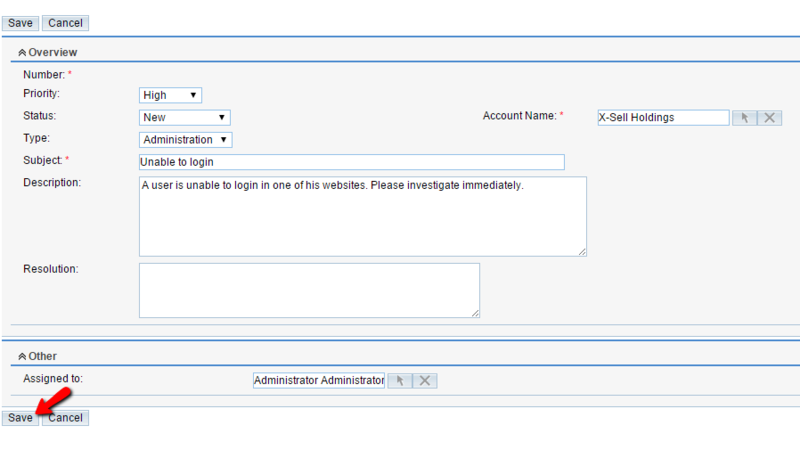 Account Name - The name of the client account this support case is associated with. Right bellow these you will find an additional interface called "Assigned To" where you will be able to assign the case to one of your employees. Once you are done with all these configurations please click on the "Save" button so the case can be created. 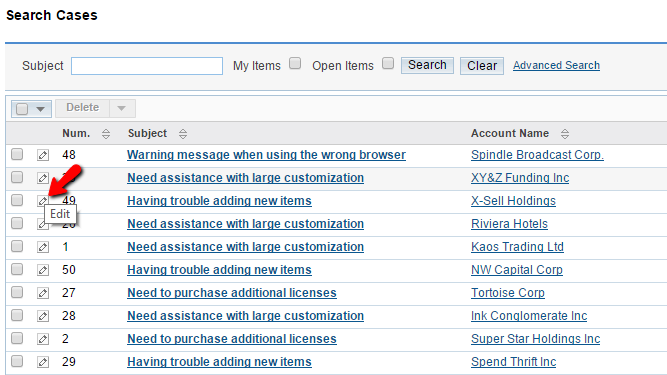 The editing of a support case is quite an easy and intuitive process. In order to edit a case you will need to return to the Support Cases management page and to click on the little pencil-like icon right before the case subject. This will redirect you to basically the same page as the one you used in Step 2 of this tutorial, however this time it will be filled as the case already exists. Once you are done editing a case please click on the "Save" button so the case edits can be applied. The last management activity is deleting a case. This can be easily done by first selecting all the cases you would like to delete via the checkboxes for every case and then by using the "Delete" button located right above the cases list. Congratulations! 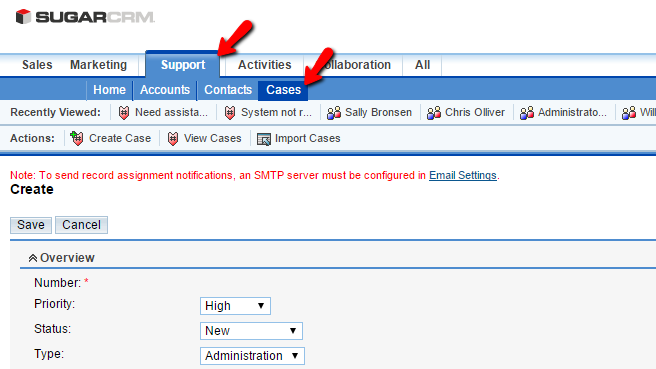 You now know how to perform Managing activities for the Support Cases in your SugarCRM CE instance!